“Where can I put my money?” is one of the most prevalent questions in the cannabis industry. As licensed cannabis business attorneys our clients ask us this all the time. In the past several institutions, primarily credit unions, had a “don’t ask, don’t tell” approach to accepting money from the cannabis industry, which meant that your money was not really welcome there but no one at the institution asked you for the source. This cycle has led to many cannabis business clients to “credit union hop”, which is where they would open up an account, have it closed when the credit union found out they were in the cannabis industry, and then move on to another credit union. While this was not an ideal solution, it was one of the only ways to have a business account for everything from payroll to paying taxes…and you better believe us when we say you have to pay those taxes. The question, “where can I put my money?” entails much more than just having a place to store your money. What this question really asks is what do I do with the piles of cash at my business, how do I accept payment in non-cash forms, how do I pay my employees with checks as opposed to cash, how can I accurately audit my business without having to sift through cash, and how do I pay my taxes? The answer to all of these solutions is a reliable Cannabis banking system, which will integral to the future growth of the Michigan cannabis industry. This article will explore emerging Cannabis banking options for Michigan entrepreneurs, how they could help Michigan cannabis businesses, and what we as Cannabis business attorneys believe the best option for banking is for the Michigan cannabis industry. This idea had been kicked around, and was even touted as the best solution to this banking problem. Think about it, what better way to ensure cannabis business owners have the opportunity to easily and securely store their money and manage their business, and what better way for the State to keep track of all of it to make sure taxes are being paid. 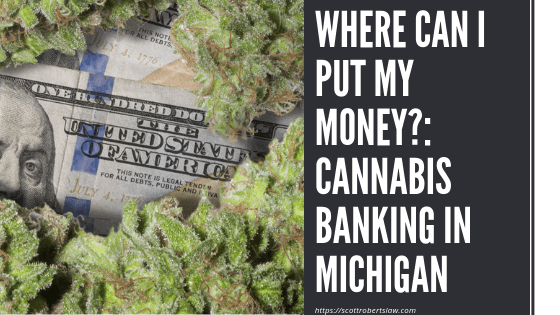 Now we are not saying that a state chartered bank would be the solution to every problem facing the Michigan cannabis industry, but it would present a much better alternative than trying to fly under the radar at a bank or credit union. While we do believe this would be a great solution to the cannabis banking problem, federal hurdles continue to pop up, and this solution has lost favor here in Michigan over the last six months or so. A good example to look at for problems with state chartered banks is California. In California, the state Senate approved a bill that would have set up state banks to serve the cannabis industry. The bill was recently axed by the Assembly. Many of the concerns that got this bill shut down are some of the same concerns with starting a state charter bank anywhere, including Michigan. A big concern was how these state chartered banks would be able to interact with the broader banking industry. Could they invest in other states? Make deposits in other bigger banks? And so on and so forth. Additional concerns were raised after a full analysis of the bill. Specifically, the fact that the bill did not protect the new state banks from federal law enforcement, not to mention the fact that the FDIC would not insure the bank’s deposits. This would mean that the new state banking system would need to rely on private insurance, which would be difficult considering the legal ramifications of insuring a bank funded by activity still considered illegal under federal law. No one would feel safe putting money in a bank that could have its doors kicked in by the feds at any minute. Thus, state chartered banking systems will continue to run into problems until there is a change of law, or even just a change in tone, on the federal level. This mid-term election the City of Los Angeles proposed Proposition B. Proposition B was to our knowledge the first time that a city voted on amending its city charter to allow a public bank in the Cannabis space to be issued. The idea was met with staunch opposition from big banks, who claimed that this type of venture would create unfair competition. Proponents of the publicly owned bank argued that this proposition would help improve efficiencies. In the current system a big bank holds on to customer deposits and taxpayer money, then lends money out at a higher rate of interest than what is paid on its deposits. A publicly held bank, rather than simply chasing the highest interest rate spread, would be free to issue loans for public projects and projects that would have a positive impact on the local community. The public banking idea certainly has potential, with the public sector benefits and the ability to directly impact the community. Unfortunately, Proposition B did not pass in Los Angeles, losing by just north of 11% of the popular vote, and the same problems that could plague state chartered cannabis banks would also affect other publicly owned banks. So at this point you might be asking yourself what viable options are there? Enter Safe Harbor Banking. If you look up what safe harbor means in the finance realm, you will find that it means a legal provision to reduce or eliminate liability in certain situations. Safe Harbor Private Banking is appropriately named as it services the cannabis industry. Safe Harbor Private Banking is a division of Partner Colorado Credit Union. It launched in early 2015 and has been helping cannabis businesses in Colorado ever since. Safe Harbor Private Banking has not officially expanded into Michigan just yet, but we do expect them to do so in the very near future. While the Safe Harbor Program will allow cannabis businesses to deposit their money in a financial institution, the program still requires extensive due diligence and continuing compliance requirements. The Safe Harbor Program involves an in depth review of your business to ensure that you are operating in compliance with state law and applicable tax and banking laws. The Program will ensure that your cannabis business is following Financial Crimes Enforcement Network (FinCEN) guidelines. After undergoing initial due diligence and training, the Program will connect you to banks and credit unions that are participating in the cannabis industry. The Program will also allow you to easily track and monitor your bank accounts, as well as generate detailed reports for your business. So what are these FinCEN guidelines? In 2014 FinCEN issued guidance on what banks should watch out for when deciding whether or not to provide services to those in the cannabis industry. The guidance, although tricky, establishes a safe harbor from federal prosecution for giving marijuana businesses banking services. Notwithstanding this guidance and the Cole Memo issued with it in 2014, national banks nonetheless continue to treat cannabis banking as the red-headed step child of the banking industry. The catch here is that former Attorney General Jeff Sessions rescinded the Cole Memo and reintroduced the idea of prosecutorial discretion. Meaning prosecutors could, at their discretion initiate actions against banks that would provide services to the cannabis industry. However, recent communication with FinCEN has cleared up that the guidance, allowing banks and credit union to enter the Cannabis banking space. Specifically, the guidance creates a checklist for banking institutions to use when evaluating whether or not to provide services to the cannabis business. This is why the Program is and should be a very impactful new system, and one we believe to be the ultimate answer to the question of “where do I put my money.” The Program will ensure your compliance with all the FinCEN guidelines so that you are not a risk to financial institutions, with the added benefit of ensuring you don’t unknowingly violate federal banking laws. This type of model works only with financial institutions that are willing to participate and as of now those are hard to come by, but we do know of one such institution here in Michigan that is preparing to enter the program. The Safe Harbor Banking program is a well-designed system and will soon be making its way to Michigan. The passage of recreational marijuana has come with a great deal of interest in the cannabis industry. Michigan is expected to be one of the biggest markets in the nation for recreational marijuana, with some saying it will be second only to California. Scott F. Roberts Law is a Michigan cannabis business law firm focused on representing Michigan marijuana businesses of all sizes and types in licensing, as well as regulatory compliance, business, real estate and municipal matters. Contact us today to schedule a free consultation. Mohamed Ghaith was born and raised in Dearborn, MI. 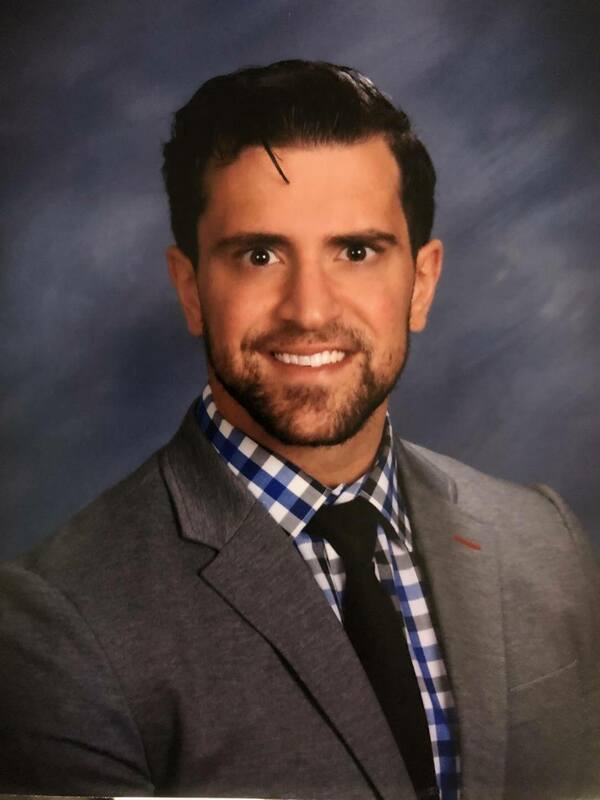 Mohamed graduated from Wayne State University – Law School in May of 2018. While in Law School Mohamed, achieved academic excellence, being awarded the Bronze Key Award two years in row. Mohamed’s legal education includes internships with the Maurice and Jane Sugar Law Center for Economic and Social Justice and the Arab Civil Rights League. Mohamed gained a deep respect for the law through these internships and it helped him see how the law can be used to protect and empower all people. Mohamed’s work focused on labor, employment and civil rights. At Scott Roberts Law, Mohamed will focus on aiding clients with issues related to employment and intellectual property law. 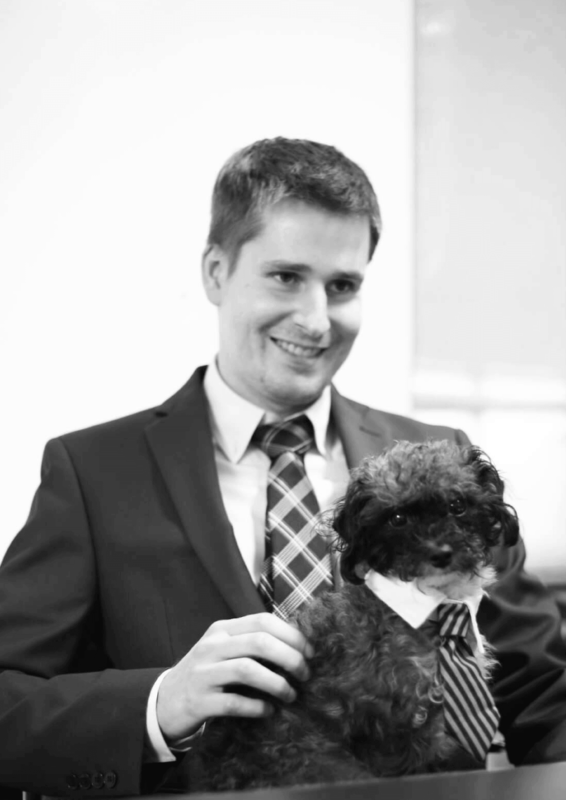 When not aiding our clients, Mohamed enjoys listening to music with a preference for 90’s rock.